Trapt is an American rock band that formed in Los Gatos, California in August 1997. 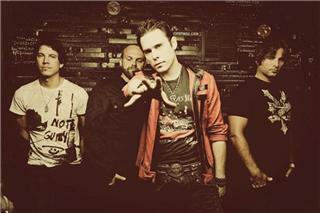 The group consists of lead singer Chris Taylor Brown, lead guitarist Travis Miguel, drummer Dylan Thomas Howard and bass guitarist Peter Charell. They have released six studio albums to date: Amalgamation, Trapt, Someone in Control, Only Through the Pain, No Apologies and Reborn. The members of Trapt met in high school in the mid-'90s and shortly thereafter developed an act with Chris Taylor Brown (vocals), Simon Ormandy (guitar), Peter Charell (bass), and David Stege (drums). The band's first few rehearsals were in Ormandy's guesthouse, which had a party-like atmosphere with its loft overlooking the living room. They began playing at local venues in 1997 before any members had graduated high school. The band received a great response and a positive buzz soon started to grow. In 1998, still before graduation, they were already opening for up-and-coming fellow acts like Papa Roach. They recorded and released their first CD, Amalgamation in 1999, which they sold at their live shows. 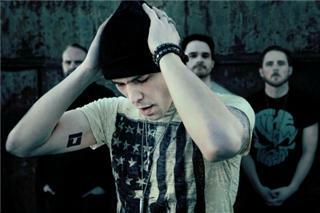 Their second release, the Glimpse EP, came in 2000, and another EP, 2001's self-titled Trapt, served as the band's demo. Between the strength of these releases and the successes in touring, they were able to garner major record label attention.